Chord Electronics have just released a very interesting product indeed – transform your smartphone or tablet into a hi-fi music player with Chord Poly. No more tinny mp3 tunes; partner Poly with Chord’s exceptional Mojo DAC to wirelessly stream from connected devices and playback from its Micro SD with dramatically improved audio quality and all with smartphone control. 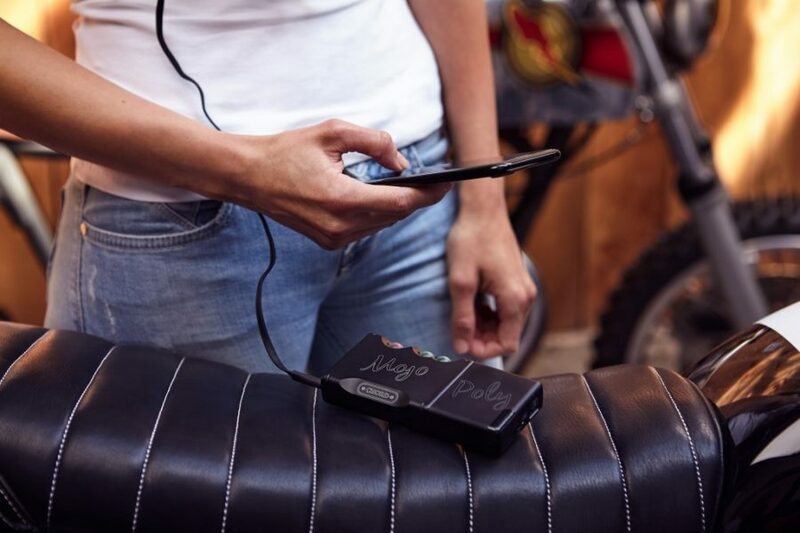 The smartphone becomes the controller, with Poly and Mojo doing the high-level audio processing, enabling Android and Apple smartphones/tablets to become portable ‘hi-fi quality’ digital audio players. Poly can also be used with PCs/laptops and can access music stored on NAS drives using popular DLNA apps. Playback is via Mojo’s twin headphone outputs, so home and in-car audio systems with auxiliary inputs can also benefit from improved sound quality. Drop in with your phone for a listen, or book a dem.